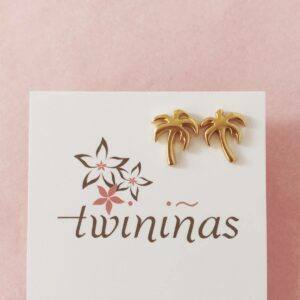 SMALL EARRINGS Archives - twininas | Unique Handmade Jewellery & Accessories! 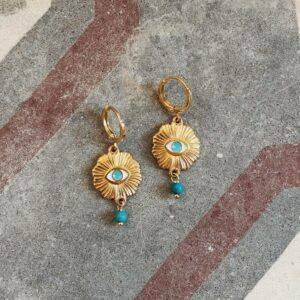 These earrings are made of gold plated brass dainty hoops strung with gold and turquoise eye pendants and turquoise howlite beads. 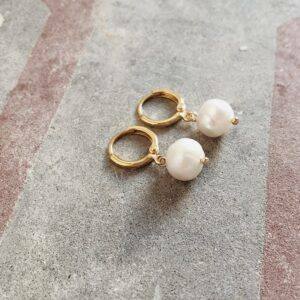 Layer them with other styles from our collection. 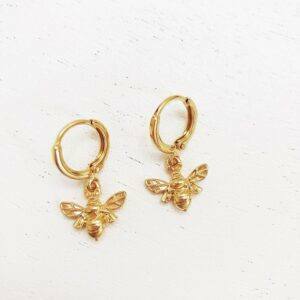 Dainty hoop earrings strung with bee pendants made of gold plated brass. 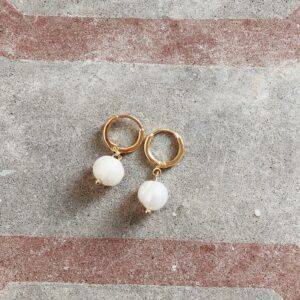 Cecilia earrings are delicate and lightweight. 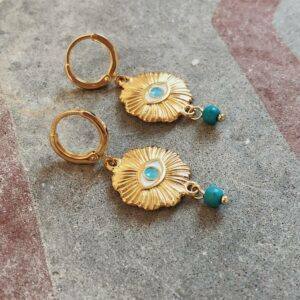 They have a gold plated brass hoop stud which is strung with a cowrie shell pendant. Mix and match yours with other pieces from the collection. 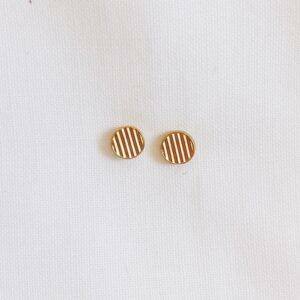 Dainty round shaped earrings made of gold plated brass (24k) and titanium studs. 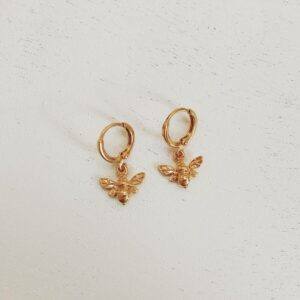 These dainty hoops are made of gold plated brass strung with pendants in several shapes. 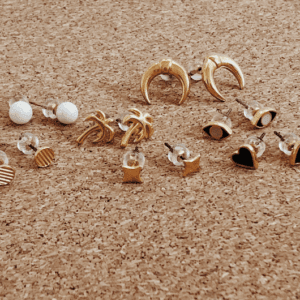 Choose the style you prefer from scrolling menu or layer them together. 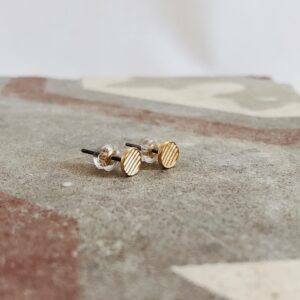 These dainty earrings are perfect for every day. 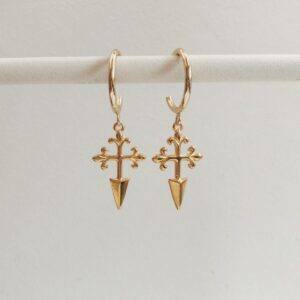 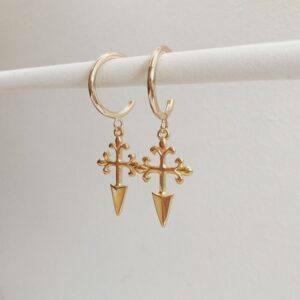 Made of gold plated brass, steel and enameled brass these earrings are the perfect choice for ear layering. 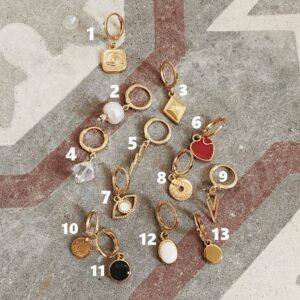 Choose the design you prefer from scrolling menu.